Many Americans look forward all year to backyard barbecues, poolside fun, and dazzling fireworks on the 4th of July. This all-American holiday has a dark side, though, when it comes to safety. 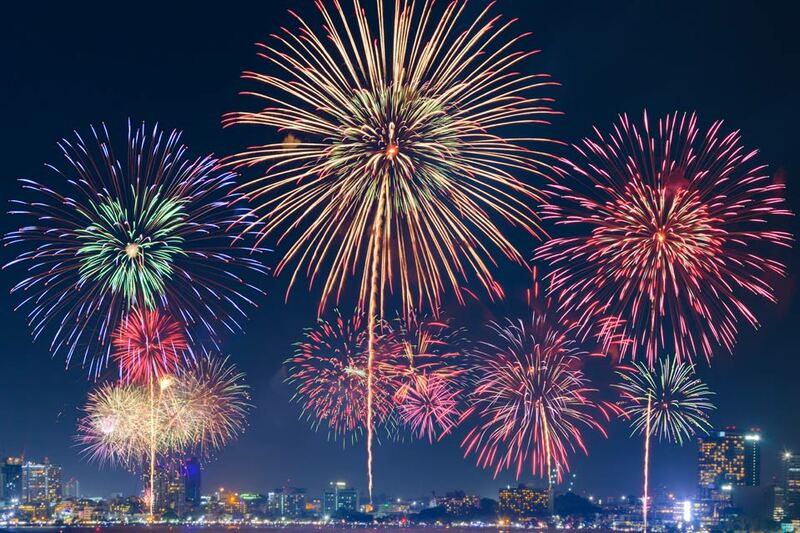 In 2007, a National Safety Council (NSC) press release named July the nation’s deadliest month and July 4th the most dangerous U.S. holiday thanks to the combination of extra travel, alcohol, and fireworks. In 2013, the NSC re-affirmed Independence Day’s dubious honor and projected that 540 traffic fatalities and 57,800 medically-consulted injuries would occur over the holiday weekend. Historically, the July 4th holiday becomes more dangerous when it falls on or near a weekend. This year, the holiday lands on a Monday, which means that many people will celebrate it as a long weekend — leading to even more opportunities for injury-causing accidents and making sensible risk-reducing behaviors even more important. In 2010, the Insurance Institute for Highway Safety (IIHS) studied data from 2004 to 2008 and concluded that more people died in traffic accidents on July 4th than any other date of the year during that time period. On average, over the five years studied, 148 people died in fatal car crashes each July 4th — about 30 percent higher than the number of traffic fatalities on an average day. Why is July 4th so deadly? IIHS researchers point to a number of potential factors: more people on the road, longer average traveling distances, and of course, holiday alcohol consumption. According to the IIHS, alcohol plays a role in 41 percent of all Independence Day traffic accidents, which is about 10 percent higher than an average day. Safely pull over and put the vehicle in park if you must make or take a phone call — or if you need to send or receive a text message. Always wear a safety belt and make sure other passengers do the same — every trip, every time. Have children sit in the back of the car and use the proper child safety seat or booster seat. Never leave a child or pet unattended in a vehicle, especially during hot weather. Designate a non-drinking driver if you will be consuming alcohol. Motor vehicle accidents aren’t the only hazard at play over the 4th of July holiday. Every Independence Day, people die in fireworks-related incidents while hundreds more are injured. Last year this problem received more attention than usual when NFL players Jason Pierre-Paul and C.J. Wilson became the unfortunate celebrity faces of the issue; both athletes lost fingers and suffered severe burns in separate 4th of July fireworks accidents, with Wilson’s career ending as a result. Wilson’s and Pierre-Paul’s stories attracted attention due to their celebrity status, but similar incidents play out every year across the country around Independence Day. According to the U.S. Consumer Product Safety Commission, an average of 230 people are injured each year in fireworks-related accidents near or on July 4th. These accidents can prove fatal: In 2014, nine people died from eight different fireworks-related accidents — including two people who were not involved in lighting the fireworks. Never allow young children to handle fireworks. Older children should use fireworks only under close adult supervision. Light fireworks one at a time, in a clear outdoor area away from onlookers, houses, and flammable materials. Do not aim fireworks at another individual and never place any part of your body over a firework. Keep a bucket of water nearby in case of fire to fully extinguish fireworks that don’t go off. Do not try to re-light or handle malfunctioning fireworks. Unfortunately, even people who follow every conceivable safety measure can still be injured if someone else acts in a negligent and reckless fashion. If the unthinkable happens and another person’s negligence causes harm to you or a loved one, please contact the legal team at Pinder Plotkin. You may be entitled to compensation, and our attorneys have the qualifications and experience to fight for justice on your behalf. For personal injury claims, our contingent fee policy ensures that you will not pay a dime for fees or expenses unless we achieve a financial recovery for you. Please call us today at (410) 661-9440 or fill out our online contact form to receive a free consultation regarding your case.